Posted by Brittany Bosher on Wednesday, October 25th, 2017 at 1:22pm. Halloween is fun holiday that has inspired spooky traditions in American families for generations. Delray Beach offers some great events that are family friendly, kid-geared and grown-ups only as well! Perfect for those that are local or visiting the sunny Palm Beaches, check out what tricks and treats Delray has to offer this year! Kicking off at 1pm this Saturday, October 28th is the celebrated annual Halloween Parade in Downtown Delray Beach. The float filled and spooktacular parade starts its journey at the south east corner of Old School Square Park and travels along Atlantic Avenue boasting elaborated decorations, costumes and music for all to see. Hurry up and get your chance for fun and thrill in at the last few days of Shriek Week at Sugar Sands Park. This week of crazy tricks and treats is the perfect destination to bring your kids this Halloween Weekend. Shriek Week has been a smash hit so far this week but is continuing until Saturday. The theme for this year’s Shriek Week is “Superstitions.” So the all of the thrills will be focused on strange beliefs and kooky fantasies. The haunted house is filled with scary (but not too scary) characters and fun rides. There will be craft stations, stilt walkers, magic shows, live entertainment, trackless train rides, a free trick or treat trail, a black light carnival game room as well as a great variety of food and drink vendors. A Halloween destination for teens and grown-ups ONLY! For those of you looking for something with a little more fright and blood pumping Halloween fun, try Granny’s Grim Garage. This haunted house is on its second year, and last year it was a HIT. The 2017 Granny’s Grim Garage theme is “Alien Lab.” The entire haunted house will be focused on the idea of extraterrestrial life with crazy characters performing experiments and terrifying life forms popping out of every corner. Not for the faint of heart and certainly not for the little ones, this haunted house should be attended with caution. 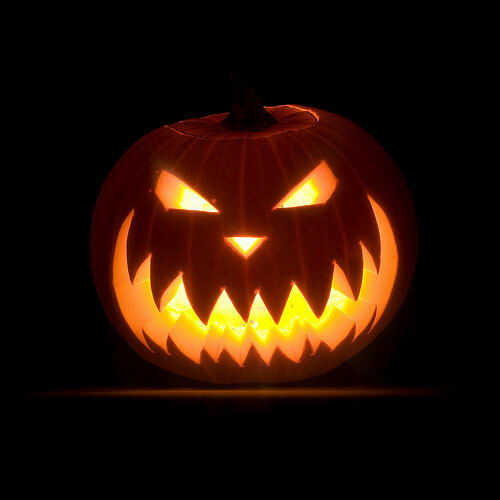 For those who love a good spook and Halloween fun, it sure is scary! The upcoming dates for Granny’s Grim Garage are this coming Friday and Saturday, October 27th and 28th from 6-10:30pm.